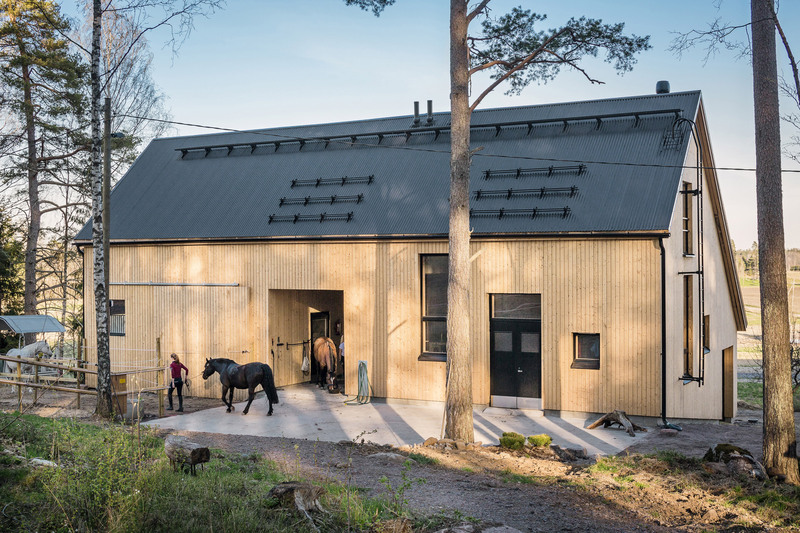 This wooden stable, designed by POOK Architects, is located in a countryside venue in the much-prized landscape of Northern Espoo in Finland. 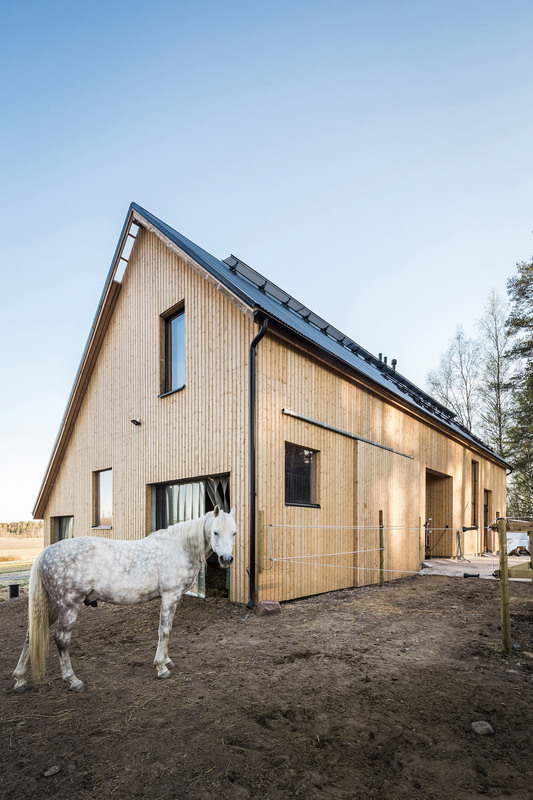 In addition to the stable space, the steep gabled roof also covers a free-range area, an equipment and supply space, and a manure storage area. 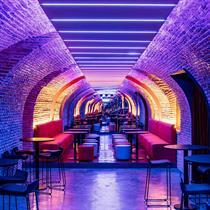 The aim was to keep functions close to each other and ensure ease of use. 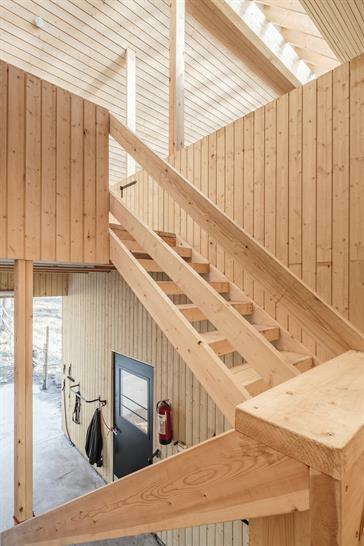 All the wood used in the building is unimpregnated conifer. Horse management is a significant part of the area’s agriculture. The area has many small stables and well-connected riding trails in the countryside. Horse keeping, for its part, allows for preservation of the fields’ current use for cultivation and grazing. 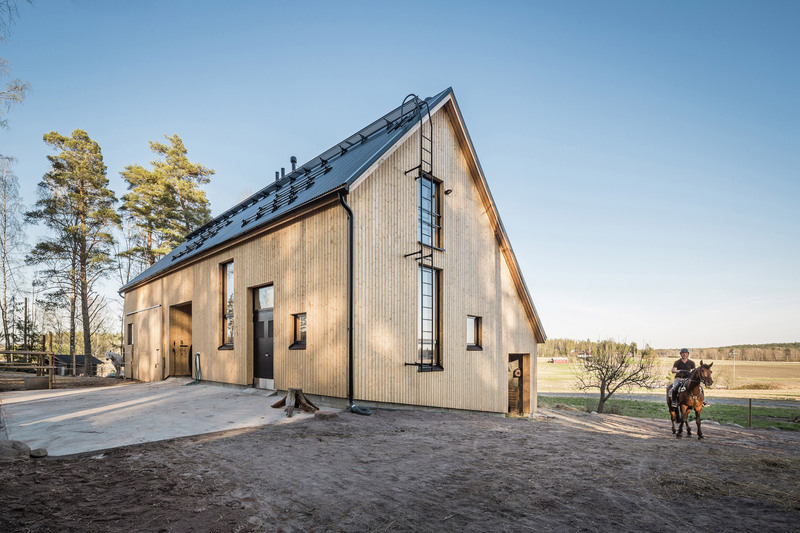 Wood is a natural building material for the area. 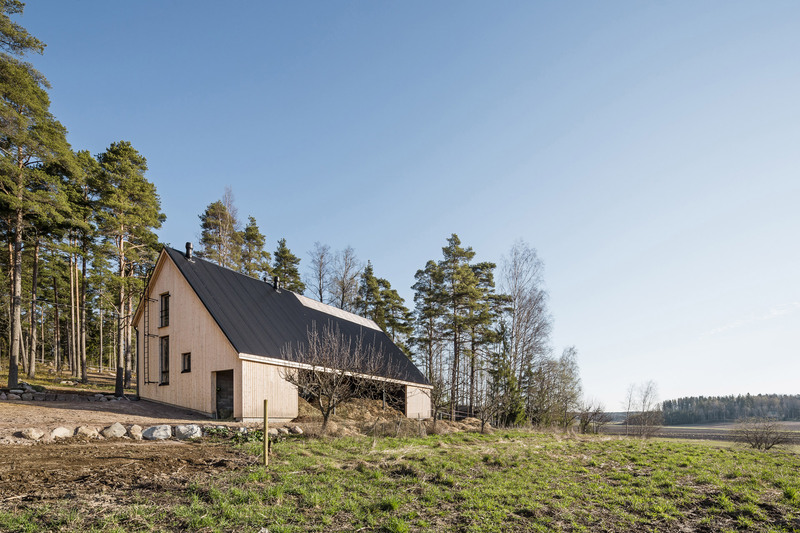 The aim was to locate the building nestled in a picturesque landscape; its long edge follows the direction of the forest slope and brings the building’s gable into the woods. 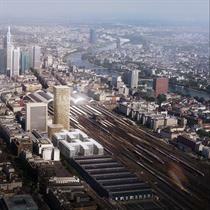 Massing is based on the steep, acentric gabled roof, under which all central functions are located. The functional planning of the building paid special attention to the ease of everyday activities and the durability of the building parts. In horse keeping everyday chores are repetitive; smooth organisation for feeding, cleaning and horse care is central. 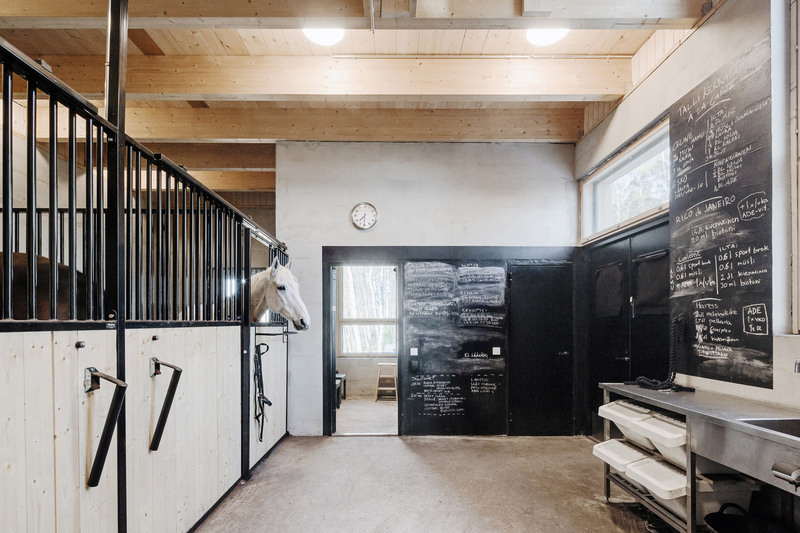 The free range area and stable are linked directly to the horses’ forest pasture, care locations are multifunctional and close by, the manure storage area opens out directly from the stalls and the free-range area, and the riding arena and connections to riding trails are located in the courtyard. The aim was to avoid unnecessary steps. All horizontal structures and cladding were built with conifer. Sturdy floor planks were directly attached to a laminated timber floor structure. 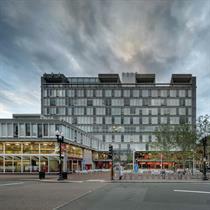 This achieved a simple structure, gave the room height, and provided natural stratification of warmth. 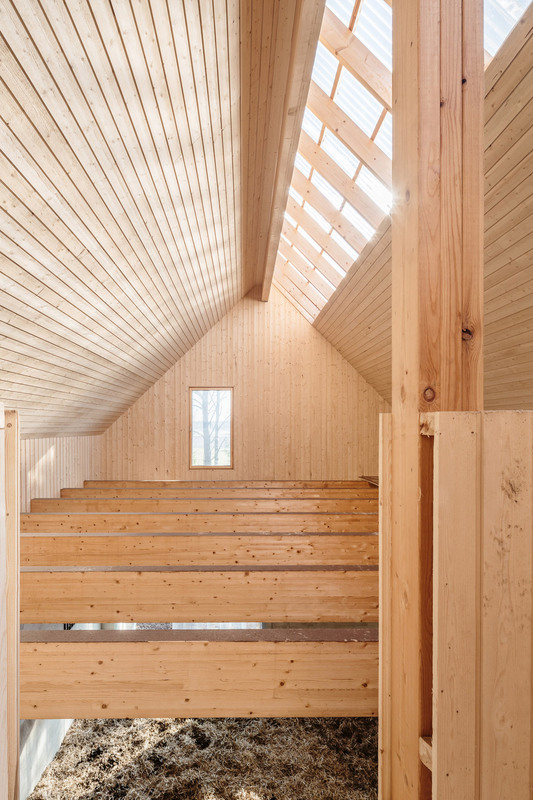 The wooden- lattice structure ceiling is insulated with cellulose wool and ventilated from the gable. 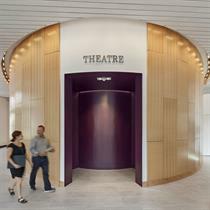 Sturdy tongue-and-groove spruce boards were used for the facade and interior cladding. 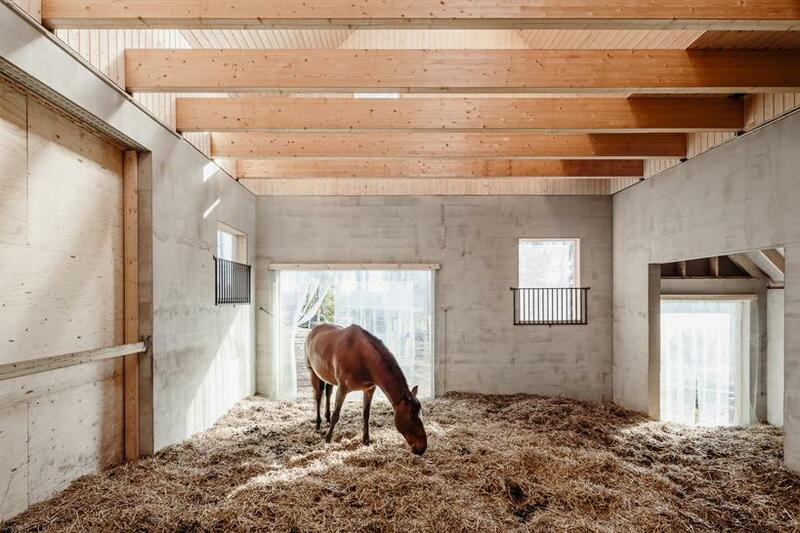 Stalls and the free-range area that are exposed to direct wear from use by horses are primarily steel or concrete. Unimpregnated wood was also used liberally in interior cladding because of the wood’s hygroscopic characteristics. The management of fluctuations in humidity and ensuring functional ventilation in the stable area are important to the horses’ well-being. 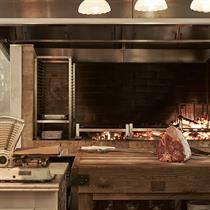 Ventilation is primarily pressure force ventilation, with an option to increase efficiency using mechanical venting. 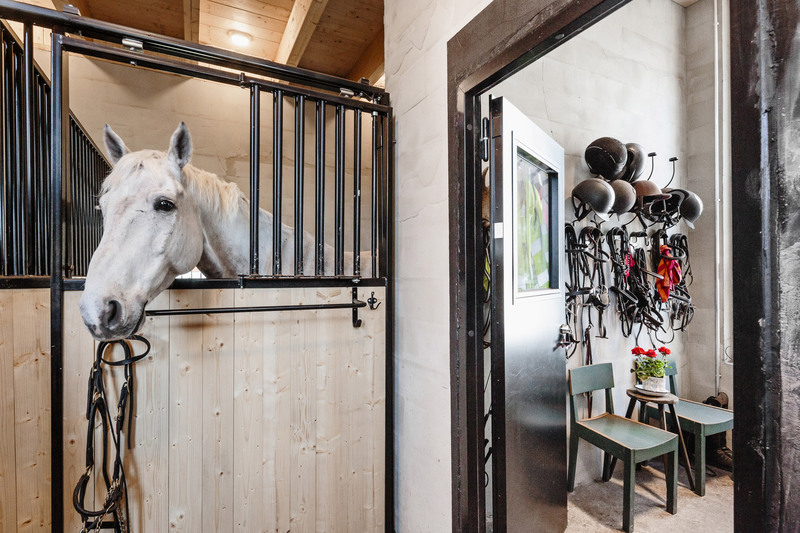 Heat generated from horses is used in the stable spaces to supplement heating generated by hot air pumps, which are also used to decrease humidity as necessary.